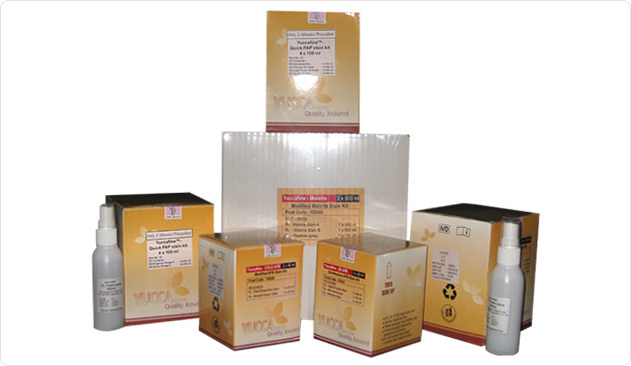 Yucca Diagnostics" a versatile diagnostic kits & reagents manufacturing company, founded with a good intention to give the best quality products at most affordable price to give value for money for every yucca product purchaser. Mr. Sambhaji Shripati Patil, M.Sc. (Chem. ), with a vision of developing innovative products to serve diagnostic industry in a better manner while maintaining the competitive price of the product without compromising in a quality. "Yucca Diagnostics" is one of the fastest growing company, situated in the five star industrial area in Kolhapur district of Maharashtra state in INDIA, having its plant with built up area of 4000 sq.ft. established into 10000 sq.ft. land area. It has its state of the art manufacturing fascility as per FDA & Compliance of ISO certification.